A 2010 review of scientific evidence on manual therapies for a range of conditions concluded that spinal manipulation/mobilization may be helpful for several conditions in addition to back pain, including migraine and cervicogenic (neck-related) headaches, neck pain, upper- and lower-extremity joint conditions, and whiplash-associated disorders. The review also identified a number of conditions for which spinal manipulation/mobilization appears not to be helpful (including asthma, hypertension, and menstrual pain) or the evidence is inconclusive (e.g., fibromyalgia, mid-back pain, premenstrual syndrome, sciatica, and temporomandibular joint disorders). Side effects from spinal manipulation can include temporary headaches, tiredness, or discomfort in the parts of the body that were treated. 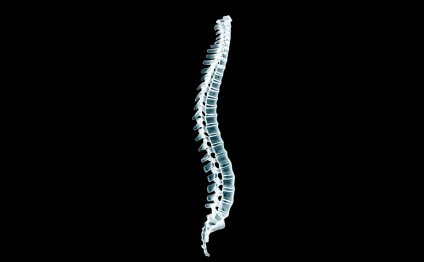 There have been rare reports of serious complications such as stroke, cauda equina syndrome (a condition involving pinched nerves in the lower part of the spinal canal), and worsening of herniated discs, although cause and effect are unclear. A 2007 study of treatment outcomes for 19, 722 chiropractic patients in the United Kingdom concluded that minor side effects (such as temporary soreness) after cervical spine manipulation were relatively common, but that the risk of a serious adverse event was “low to very low” immediately or up to 7 days after treatment. A 2009 study that drew on 9 years of hospitalization records for the population of Ontario, Canada analyzed 818 cases of vertebrobasilar artery (VBA) stroke (involving the arteries that supply blood to the back of the brain). The study found an association between visits to a health care practitioner and subsequent VBA stroke, but there was no evidence that visiting a chiropractor put people at greater risk than visiting a primary care physician. The researchers attributed the association between health care visits and VBA stroke to the likelihood that people with VBA dissection (torn arteries) seek care for related headache and neck pain before their stroke.